Whenever I don't have time to do a full on smokey eye before I go out I rely on my Mac Paint Pot in Constructivist - which I raved about fully here. I could never get rid of my paint pots, they are just the perfect base for eyeshadow, making them blend easier and last longer. 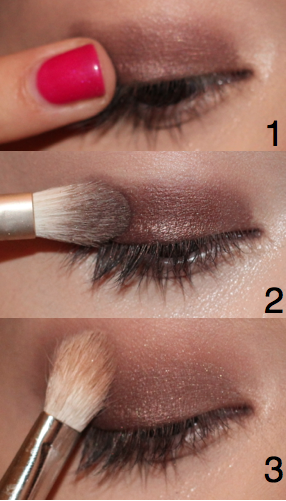 This is just a really quick and easy way for an 'unkept' smokey eye look that I slap on when getting ready and time is limited! Continue to apply mascara and done with the eyes!